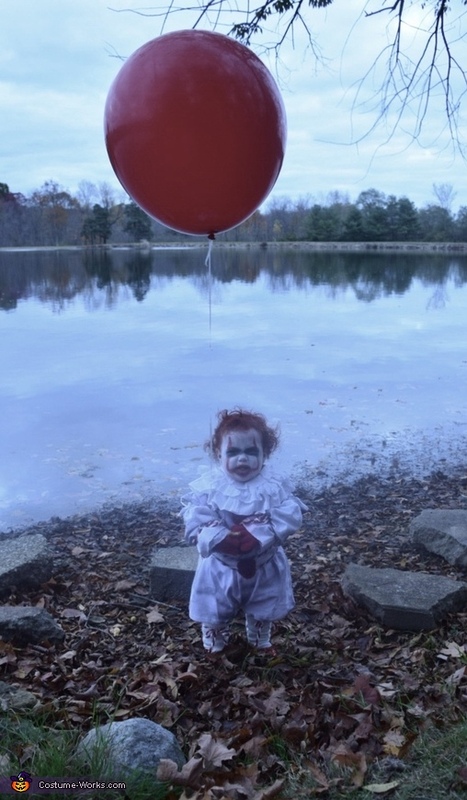 15 month old Lux Elizabeth as Pennywise from 2017 "It" movie. inspiration: lux has a 3 yr old sister Blakely who was Chucky at this age for Halloween 2015, I was trying to think of a costume equally as creepy. I think this age is so fun because they make such good scary characters.